French Cameroun’s Minister and colonial agent for post and telecommunications, Minette Libom Li likeng earlier today September 10, 2018 sent out a press release describing as “Fake News” rumors of the dictatorial regime’s plans to once again shut down internet services for security reasons – this time across the two Cameroons starting from 1st October 2018. The news had spread like wildfire across the social media with activists from both parts of the Cameroons promising hell if the shutdown is actualized. From antecedents relating to internet shutdown by the terrorist regime, it will laughable for anyone to believe the outright denial of the colonial minister. Such denial is not the first of its kind. After the 3 months internet blackout in Ambazonia, the regime planned a second shutdown which was leaked to the public. The same colonial agent came out to debunk the news, but at the end of the day, all social media networks were still shut down in Ambazonia. Consequently, the denial by the colonial Minister that internet shall not be shut down in October is just a coverup. They want to avoid tempers flaring at this early stage considering that it was a secret evil plot that has been leaked to the public. 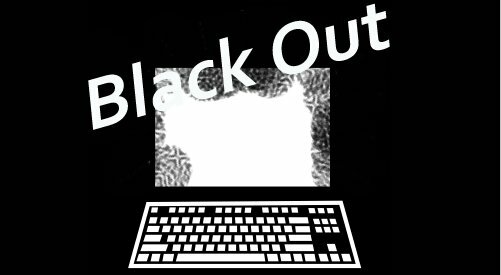 The plan has already been concluded to completely shut down the internet in Ambazonia on the eve of October 1st and a partial shutdown (mostly social media platforms) in French Cameroun in the build-up to the colonial Presidential election. The colonial regime has not apologized and neither have they compensated anyone for the 93 days TOTAL internet shutdown and the additional social media blackout and bandwidth reduction in Ambazonia. They are rather busy planning another shutdown even when they have been dragged to court for the previous acts – a sign that the dying regime is ready to hang on anything or go to any extent to prevent itself from drowning in the present revolutionary waters. Any internet shutdown by the colonialists this time around must not be taken lightly by Southern Cameroonians. Ambazonia Restoration forces must take adequate communication measures now and be ready to respond decisively and adequately to any internet cut.